Firelake has been working with university and private firms to help with horse, cow, and other large animal cremation needs. Cremators have to be accessible yet large enough to accept the animal with minimal effort. Top loading models are convenient for suspended loading such as when slings or buckets are used. Remains are normally pulled from a side after the cycle is done. Firelake has options from 50 cubic feet to 225 cubic feet in load capacity. Fuel options are NG, LP, and diesel. Low electrical demand allows most models to be operated on a low amp single 120 volt or 220 volt feed. Stainless steel options are available as well as optional chamber linings and many afterburner configurations. A contraband disposal site in Georgia is using a Firelake Model P50 to destroy illegal substances. Waste materials will be broken down to fine ash or very brittle unrecognizable remains. The top loading multiburner incinerator has a large capacity primary chamber and a secondary burn chamber to eliminate chamber smoke. Temperature control of the lower burners is done by monitoring the stack gas. The P50 has a heavy steel case lined with 4 inches of cast refractory. High temperature paint covers all external surfaces. Stainless perforated sheet is used to cap the stack exit. Many years of service is anticipated for the patrol officers. 1924. Yes, ninety-three years ago IBM was founded and J. Edgar Hoover was placed in charge at the FBI. Firelake has a history tracing back that far. What have we done? Designed, tested, built, sold, and serviced combustion equipment for a significant part of that time. Many dozens of models and hundreds of features have been introduced to the world. Products fit the agricultural market, medical market, waste disposal market, laboratories, factories, airports, ships, oil fields, and more. We have customers in biotechnology using them for dryers. Cremators are Incinerators and inversely. We have many sizes for most applications in the small and mid-sized market. Firelake offers burners that use propane, natural gas, and diesel. At Firelake we have designed specific purpose models to meet the characteristics of different waste streams. Firelake offers A, C, P, and X models to match your waste or animal types. Some of our competition started in the farm disposal business to dispose of poultry and decided to market those designs as medical waste and veterinary machines. The performance of models not designed for the waste at hand do not work as well, plain and simple. Emissions, heat release, operating ease are some of the areas these all encompassing marketers fall short. Firelake offers no charge assistance for customers completing permits for local air agencies. We do custom designs often at no extra charge. 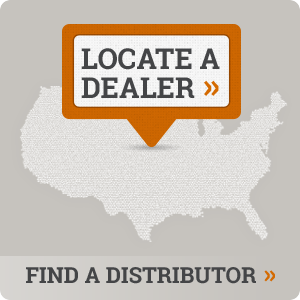 The products we offer return revenue to your business. Contact us with your plans and we will suggest a model to match your need. If the situation does not justify selling you our equipment we will tell you. Have you been thinking of starting a cremation business for animals or on-site waste disposal? The price of buying equipment can make that decision difficult. Initial cost to get in the business can be softened by using readily available payment options. This leaves your cash free to use for other supplies and payroll. Firelake has examples of payback experienced by other customers. With a moderate amount of monthly cremations our incineration equipment typically can be paid for in around two years. Firelake has quality units under $8,000 that easily fit in to a small shed or corner of a room. Stack gas data is available on many models if your area requires such. Firelake always offers no charge permitting assistance. EXAMPLE: Assuming 200 animals a year and doing multiple individuals at one batch you can net $10,000 income a year. A small cremator could be paid off. Contact Firelake to discuss numbers. Have your prices for LP, NG, or diesel available and estimates for animals per year and the going rate per animal in your area. 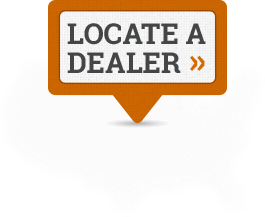 We will help size a unit and estimate a payback time. Do you take spending money seriously? At Firelake we take incineration and cremation so serious it is the core of our business. Everyday is focused on incinerating and cremating. We have roots in the business dating back over 40 years. Our standard product line has over 23 models available plus numerous operational and fabrication options to add to each. Popular markets in 2017 are drug disposal, pet cremation, export medical waste, and remote camp waste disposal. Active projects reach across the U.S., Canada, and in to other countries. Our factory is finishing a 600 pound model for a Canadian customer. A permit to operate a Firelake incinerator has just been approved in Ohio, and the next step is releasing a purchase order. A Firelake Pro-model was specified for a drug disposal project in a Southern coastal city. Firelake incinerators are being reviewed by cannabis farming industry consultants with potential to specify Firelake as the choice of on-site waste disposal. A new ergonomic design cremation unit is under development in R&D. A large volume model is being budgeted for contraband disposal in Central America. In Pennsylvania and New Jersey animal hospitals are planning to offer ash return services to customers. In Nebraska a new site is being built to house a Firelake Pro model. These are just some of the examples of current activity at Firelake. Do you take your business seriously? Firelake may have a cash generator for you. Call or email us. Have you ever seen or read any of the popular instructional books of that series? Not everyone is a master of all knowledge. If you are considering a purchase of an incinerator or cremator answer these few questions and be better informed to make a decision. What is the difference between an incinerator and a cremator? The spelling. The physical difference and operation is the same. One term may be more or less appealing than the other. Terminology may make a difference if a permit is to be filed to operate. Are they a cost burden to my business? Probably not. We often hear it becomes the best employee they have. Every time they use it they make money. Savings is generated by doing on-site waste disposal, or cash flow is generated by returning pet remains to grieved customers. Is there special skill needed to operate one properly? No. Your current staff can learn to use one in a few hours. Operation is simple, load, close, press start, return later and remove ash. After a couple days most people are very competent. What is a good product design? Rules of thumb: Steel cased models with a poured refractory lining is best. Models with grates are better than models that have the load resting on the floor of the chamber. Models with single burners located at the entry of the stacking are best, this reburns smoke or gasses before exiting the chamber. Multichamber burner models provide reburn opportunity of flue gas and are normally better than single chamber units. Fuel selection is not a concern, use what is least costly in your area. Firelake offers LP, Natural gas, and Diesel versions. Does operating temperature make a difference? Normally the least cost to operate is to run at just enough temperature to cleanly burn off the waste stream. Any attempt to operate at greater temperature will add to equipment cost and consume more fuel. If the local authorities require a certain temperature then you may have to comply to obtain a permit to operate. More questions ? Call or email Firelake. We will be happy to explain our equipment, what is needed to get a machine installed, and how to operate it in a few simple steps. The payback will start on the first run. Last month our posting detailed the cost to operate, and revenue from a P model Firelake pet cremation system. That scenario is economically attractive for md-sized and larger clinics but in this posting a smaller less cost model commonly used in smaller rural clinics will be detailed. These smaller Firelake “A” models have found niches in small volume clinics. The A series cremators have many features and options available to them but let’s look at a standard set-up. The numbers are rounded off for simplicity: Cremator price $6,000. Life of cremator 15 years. Assume $1200/yr for 5 years to pay it off. Assume 2 animal cremation per week, 104/year charging $100 per animal. This grosses $10,400. Assume to process one animal requires 5 hours of fuel and electric, some labor to load/unload, and a an allowance for maintenance all total of $50 per animal. The 104 animals x $50 per animal = $5,200 in operating costs. Add $1,200 to pay of cremator that year. $10,400 – $5,200 – $1,200 = $4,000 net per year for first five years, then $5,200 net per year for years 6 through 15. Want a better return from that Firelake cremator? Use our animal separation trays and process multiple animals per load to cut the operating cost in half or more. Substitute your numbers and see what you are missing. Call us to help. A common story is heard a few months after a customer has been using a Firelake Cremator. The words change but the meaning is the same. The owner reviews their cash flow and expenses then realize they were losing income every day they did not have the cremator operating at their site. Here is a simple way to show an example based from a real story. The numbers are rounded off for simplicity: Cremator price $20,000. Life of cremator 15 years. Assume $4000/yr for 5 years to pay it off. Assume 1 animal cremation per two days, 180/year charging $150 per animal. This grosses $27,000. Assume to process one animal requires 5 hours of fuel and electric, some labor to load/unload, and a an allowance for maintenance all total of $100 per animal. The 180 animals x $100 per animal = $18,000 in operating costs. Add $4000 to pay of cremator that year. $27,000 – $18,000 – $4000 = $5,000 net per year for first five years, then $9,000 net per year for years 6 through 15. Want a better return? Use our animal separation trays and process two animals per load to cut the $18,000 operating cost in half. Now the equation is $27,000 – $9,000 – $4000 = $14,000 net per year for first five years, then $18,000 per year for years 6 through 15. Are you willing to postpone that decision longer? Look at our well made safe to operate models. Don’t be tempted by low priced safety compromised substitutes. Not all cremation systems are the same. Tell us your situation, we can do some math with you. Your numbers may be more profitable. 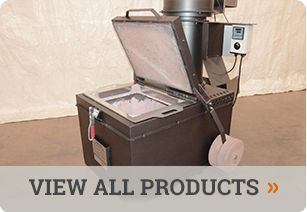 Firelake has been making cremation models for decades, have you started making a profit with one? Firelake worked with the Michigan DEQ and Firelake’s equipment distributor to gain approval to install and operate a model P16 animal crematorium. This gas fired unit is an automatic run and stop system requiring only loading and pressing the “START” button. In a few hours a single animal, multiple single animals, or a mass cremation will be complete and awaiting removal of the remains. The P16 design has grates to promote quicker cremation then allow the ash to drop in to the lower chamber where an ash door can be used to pull the ash out, or if trays were used, the individual ash may be removed from above. Reloading can be immediate with proper protective gear to prevent exposure to hot surfaces. Firelake’s experienced technical crew built and pretested the Model P50 incinerator then contracted a third party stack testing agency to officially measure flue gas content. Many states require a specific test to be done and the flue gas to meet established requirements. It was a cool Minnesota day on test day, well in to the negative temperatures and breezy. The P50 burned without visible smoke and with very low CO levels. Stack testing is a serious project. It is expensive and unforgiving. Many states require different testing procedures. The test process is a complicated adventure. If you have questions about permits and requirements contact us. We will help you sort out the best path to get you an incinerator and a permit from local authorities. Some areas do not require permits but it is always best to contact your local environmental agency at county or state level.